UH430L - G & W Machinery Sales, Inc. The UH430L is designed and built for high-speed precision milling. Sodick’s linear motor technology provides instantaneous servo time, which maximizes cutting efficiency. Positioning and cutting accuracy are second to none on the UH430L ultra high speed, high precision VMC. Sodick’s linear motor driven High Speed Mills have no backlash and are vibration-free, this results in machining accuracy combined with a fine surface finish. 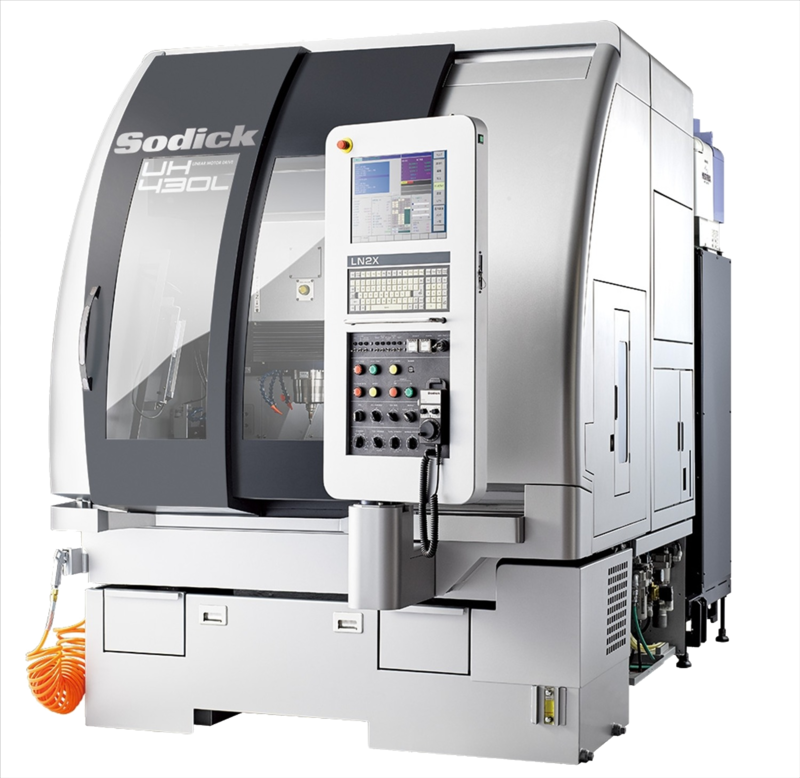 The Sodick UH430L Vertical Machining Center features Sodick’s patented energy saving linear motors and linear scales with five-place decimal input and feedback. This combination results in unsurpassed speed and accuracy with almost zero backlash. This leads to a machine tool that can handle the most complex, three-dimensional contours better than any other machine in its class. With an impressive acceleration rate of 1G, superior stability and the highest degree of precision down to nanometer are the tip attributes of this innovation. The Sodick HSM has begun a new era in high precision milling. Unlike the conventional method of separately executing rough and fine milling, this new technology combines both machining passes in one operating mode. 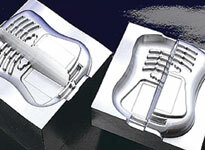 The solution is a rapidly rotating and traversing of small tool diameter that cuts to very fine depths. The UH430L features a 1,500 - 40,000 RPM spindle, standard. HSK-E25 options are available with a max rpm of up to 60,000. This spindle is ideal for high-speed, high-precision direct milling of hard surfaces and features a long spindle life. The spindle is high-torque and highly durable and includes micro-oil mist lubrication. The symmetrical “gate-type double column” structure keeps thermal displacement generated by the spindle within 3 μm. It features bridge construction made of FC300 cast iron and FCD-500 spheroidal cast iron. These materials provide excellent shock and vibration dampening as well as minimal thermal distortion in normal working environments. The machine’s bridge construction reduces the distance from spindle center to the Z-Axis guide ways, minimizing the opportunity for thermal distortion and simultaneously producing extreme rigidity. Bridge construction also eliminates the X-Axis table overhang commonly associated with C-frame construction. A large 15.1” display screen incorporates a resistance-sensitive touch screen CNC. Within the display, mode selection buttons are on the right-edge of the screen, and function buttons are along the bottom-edge. Also equipped with a full keyboard, these elements together create a PC-like feel and instant familiarity allows for intuitive operation.